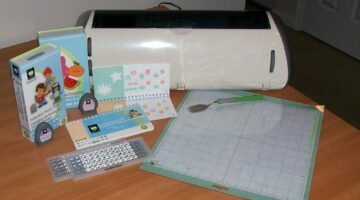 Whether you’re a teacher, homeschooling mom, or just an avid crafter, the Cricut machine is a tool that you will use over and over again. I use mine for papercrafting. Here’s my review of the Cricut Expression compared to the Original Cricut machine. Wondering which glue to use? Here’s the ultimate Craft Glue Guide, plus tips & tools to help you find the right glue for all your household projects! Silhouette Pick Me Up Tool Review: It Makes Working With Tiny Embellishments A Breeze! This dual-ended pen is a lifesaver with paper crafts! One end holds the goo that makes picking up tiny things possible; the other end makes positioning them a breeze. Now that you have your Cricut, you’ll want to know about all of the great accessories that are available to use with it. While the bare minimums that you need are a cartridge, spatula, cutting mat, and paper, you will see that some of the optional accessories will definitely assist your creativity. 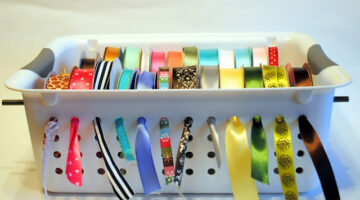 Here’s a rundown of all the great ‘stuff’ that will make your Cricut machine even better! With the Cuttlebug machine, you to use their plastic and metal dies to cut and emboss paper. You can also use the dies of several other popular cutting machines. I wanted to be able to emboss paper and cutouts for my handmade cards and other craft projects. I couldn’t wait to start embossing! See why I love my Kraft Edgers craft scissors that come in lots of fun shapes! 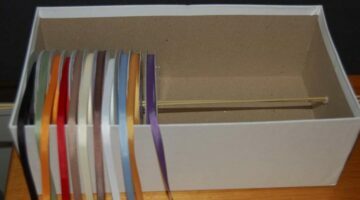 Whether you are just starting to collect craft items or you affectionately call your craft room the room of doom, hopefully one of the following craft organization tips will get your craft organization skills going. It’s time to have FUN while getting the most out of your craft supplies! 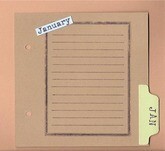 With these ideas, you can organize your scrapbook or stamping room quickly and easily. It’s really not that difficult, it just takes a little time and perseverance. 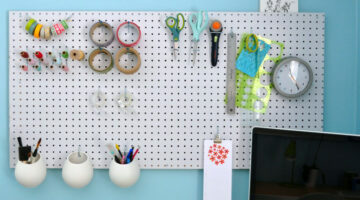 And after you do it, you’ll wonder how you went so long without having an organized craft space! The Cricut is really a personal die-cut machine. In typical scrapbooking-addict fashion, I quickly collected several more cartridges… and quickly learned that not all cartridges are the same. I also purchased 2 of the Cricut’s newest additions: Design Studio and Jukebox. If you are into scrapbooking and/or rubber stamping, chances are you have a brayer. I have one. It’s still in the box. Still hasn’t been used. I have yet to be inspired. So what am I supposed to do with this thing? In an effort to share some other ideas about how my work space is set up, I’m going to post a few articles that might give you some new ideas. In turn, I would love for you to share your ideas as well. 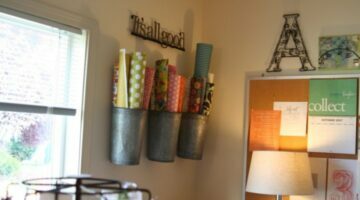 Some fun scrapbooking paper storage ideas for your cardstock and regular paper. How to make fun — and cheap — embellishments for your handmade cards or scrapbook pages using doily lace hearts. 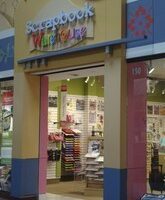 Scrapbook stores located in the Opry Mills Mall in Nashville, Tennessee. Attention Crafters: The CRICUT Die Cutter Is Finally Affordable! 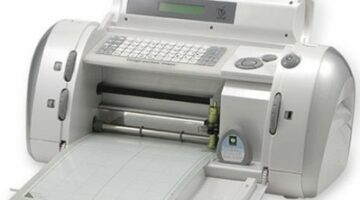 The Cricut die cut machine looks like one of the coolest gadgets around. Anyone who is into crafts like cardmaking, scrapbooking and such would probably enjoy one of these. Oh, and teachers would probably find a lot of great uses for it, too. Now you can find the Cricket cutting cutting machine pretty cheap! this punch makes a great gift look more ‘finished’, and still leaves a nice handmade feel. If you like to make recipe boxes, date books or organizers as gifts, then this is a must-have for you. 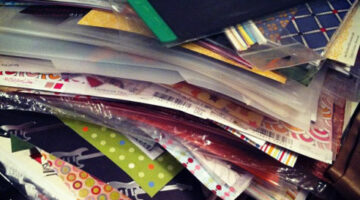 Check out all of the fun Scrapbooking supplies that Oriental Trading Company has to offer. More importantly, look at those prices!! Here are some ways to make the dent in your wallet a little easier to deal with…. While traveling out of town, I love to find new scrapbook and stamp supply stores. Each one is different and I leave with new ideas and inspiration….and a lighter pocketbook. In an effort to help you find stores that you may not have found, I wanted to share my favorite places in the area to get my ‘fix’.